When one becomes...five?! This rings true for America’s only teen pop female vocal group and previous X-Factor winner, Fifth Harmony (5H). The five girls – Dinah Jane Hansen, Lauren Jauregui, Ally Brooke, Normani Kordei, and Camila Cabello – all auditioned for X-Factor as solo artists. When each of their chances of making it to the next round were cut short, creator Simon Cowell decided these five girls would make a perfect group. And so, Fifth Harmony was born (formerly Lylas and 1432). The calm outside of Westfield Annapolis mall on a humid Monday evening could not compete with the excitement taking place inside. 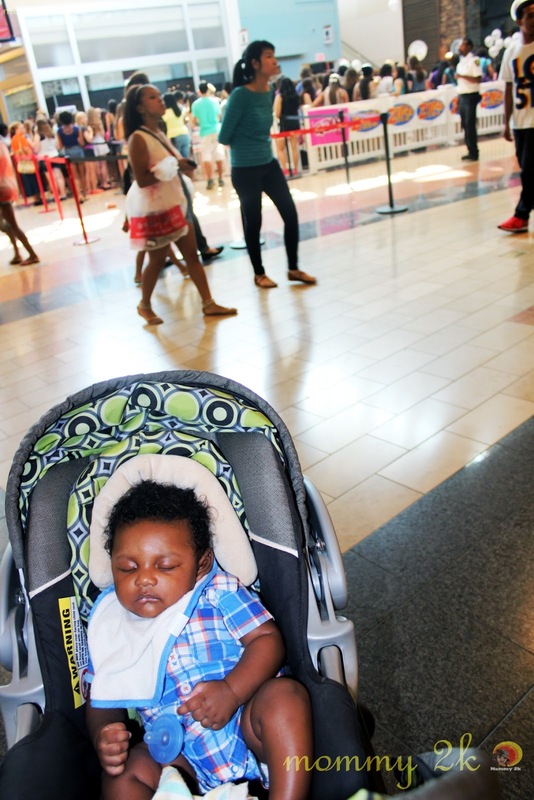 In the mall's Crate & Barrel court, hundreds of people – teens, adults, children, boys, girls, moms, dads, you name it – filled the chilled air with anticipation over the group's performance. It was quickly heating up inside. It was obvious that there were some die-hard fans in the building. A few of the Westfield Annapolis mall staff informed me that there were already people in line by 11 A.M. for the scheduled 4 P.M. performance. 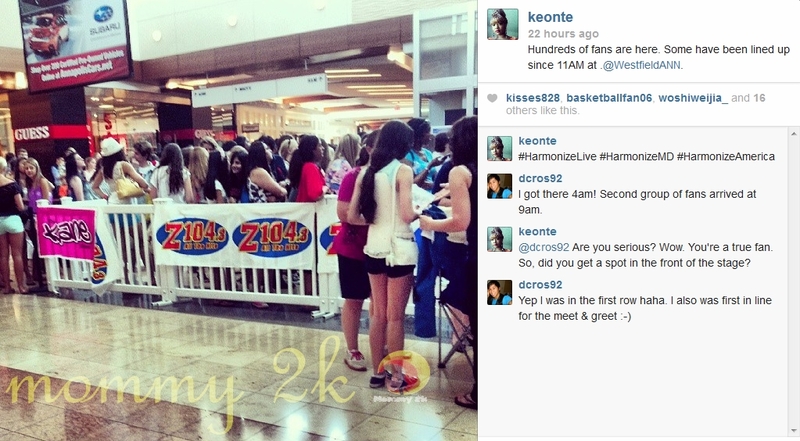 I later found out that there were a few fans that had arrived even earlier that morning. On one of my Instagram pictures, dcros92 left a comment informing me that he had been in line since 4 A.M. that morning, managed to get in the front row to watch the performance AND was first in line for the meet and greet. Talk about a fanatic. 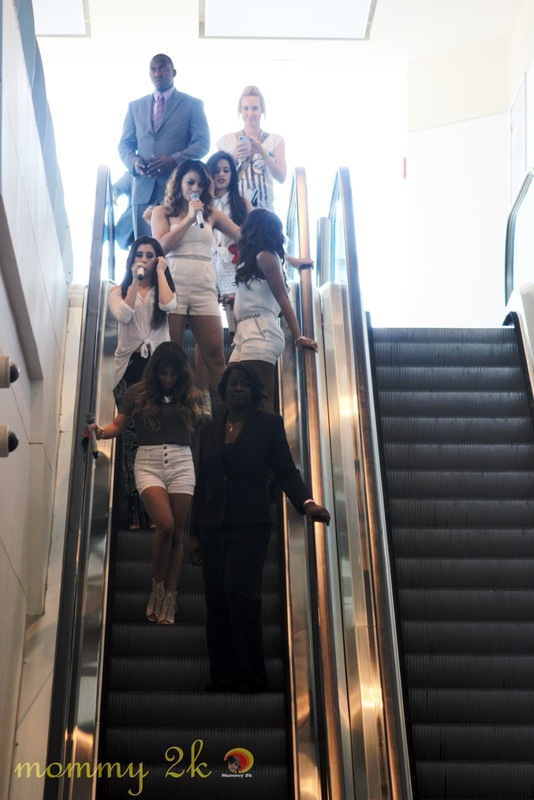 After several false alarms that the group was finally ready to hit the stage, the five girls emerged from behind a wall leading to the escalators. The screams were loud. The chants were in unison. And the show was about to begin. Check out some of the footage I captured during their performance at Westfield Annapolis mall yesterday evening. 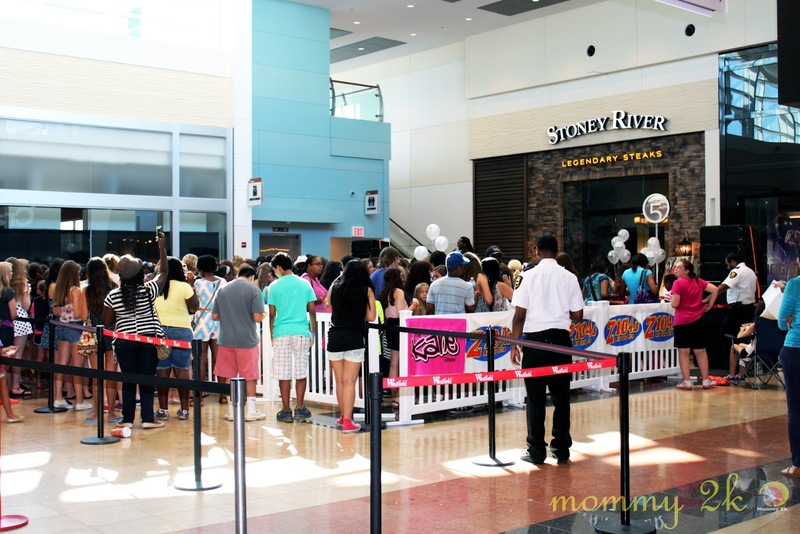 Fifth Harmony decided to debut their first single hit, “Miss Movin’ On,” at Westfield Annapolis. 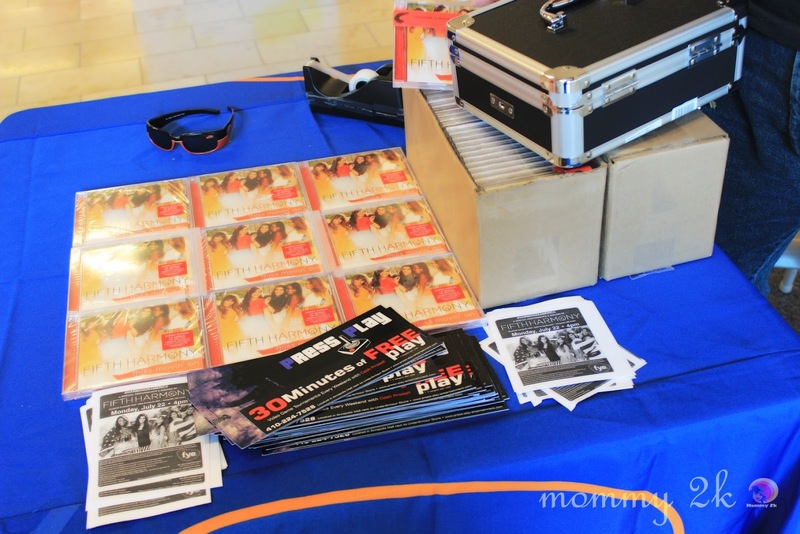 Performance and signing was available to the first 500 wristbands, available at FYE in the mall with a purchase of the single, “Miss Movin’ On,” at the special price of $2.99. I stopped by the FYE stand near the location of the performance to find out about how many wristbands were purchased. A representative said they sold over 300 wristbands. I'll admit, I had a great time watching the performance. 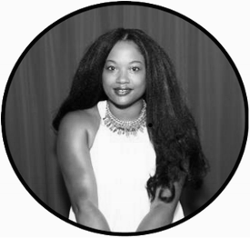 It brings me back to the days when I was madly in love with the girl group, Eden's Crush. They, too, were individuals who were brought together as a group to record an album. 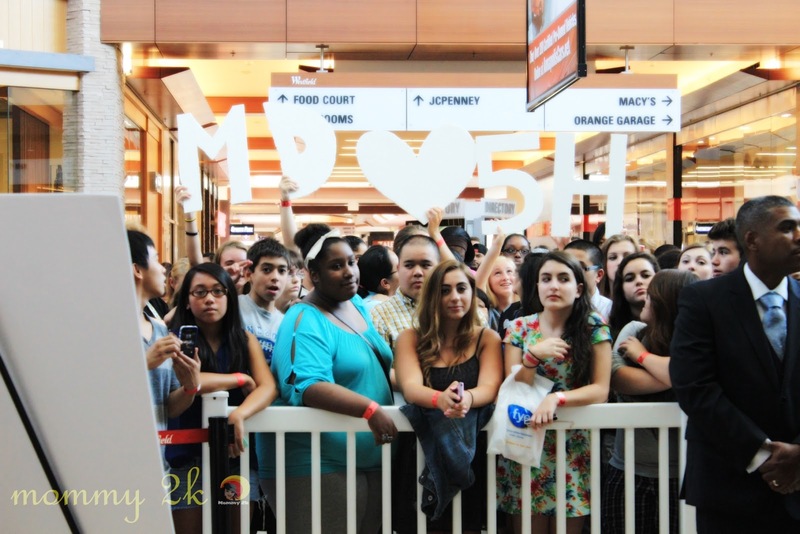 I could have easily been one of those adoring fans at the mall yesterday. Instead, I was a spectator. I was able to see the power of pop culture. I was able to see the pure excitement on the faces of a diverse crowd of people. For thirty minutes or so, everyone was able to put aside their differences and come together under a universal sign of love – music! 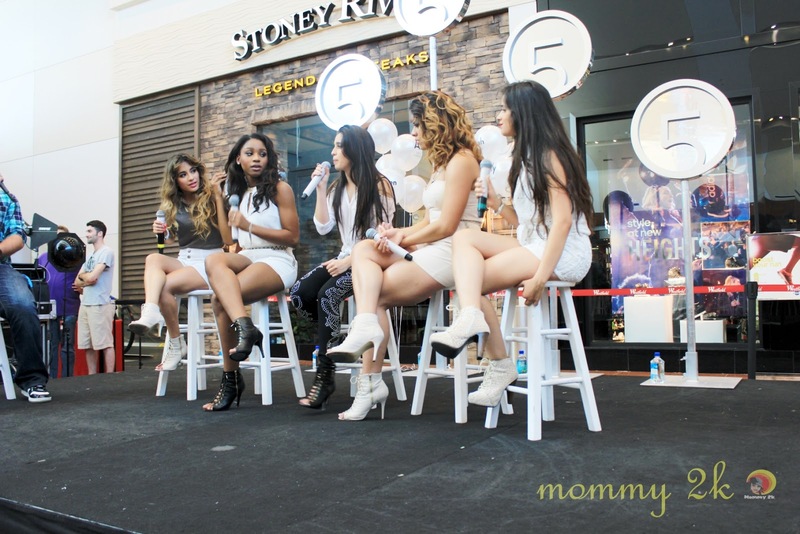 If you have a Fifth Harmony fan, be sure to check out other dates for their nationwide mall tour, which is being launched in conjunction with #HarmonizeAmerica, a campaign designed to give fans a voice. 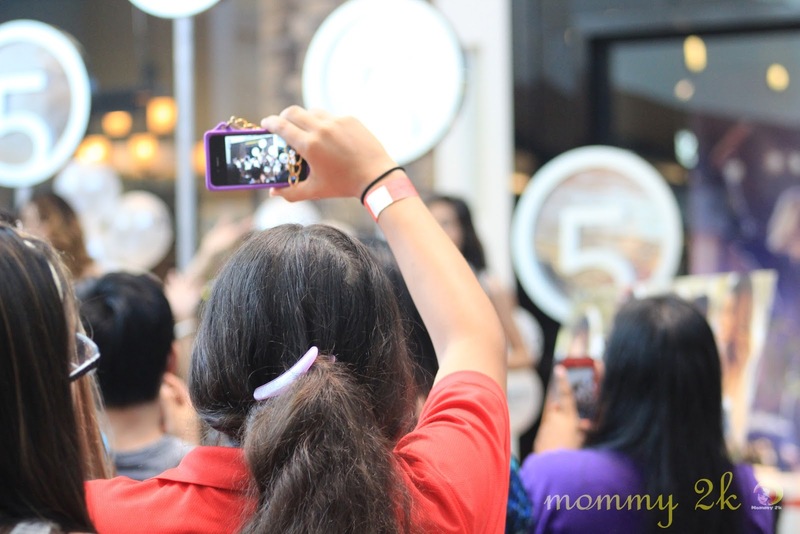 In return for their support, fans will have the opportunity to win a guaranteed spot to see Fifth Harmony perform at each of their mall events. 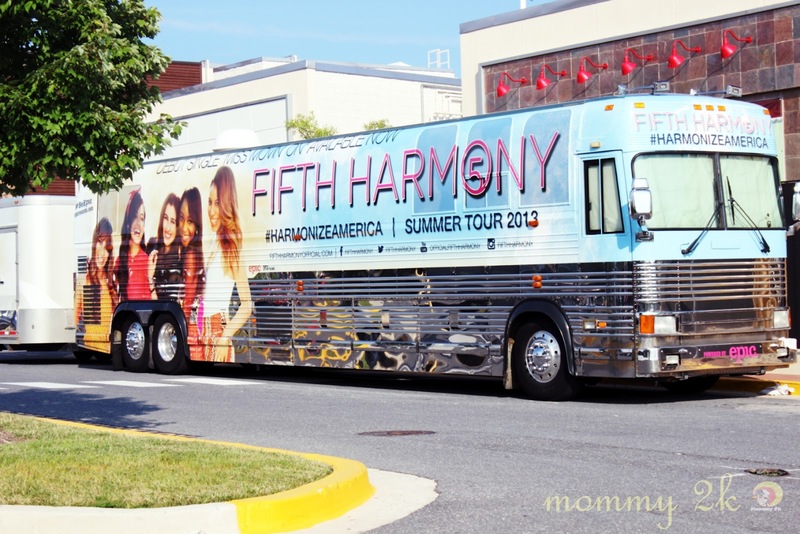 Fifth Harmony is hitting 17 malls across the country from July-August. And check out who slept through the entire performance – Liam. Thank goodness his Dad and brother gave me a hand so that I could get up a little closer on the action. He doesn't even know he attended his first concert. Ha! Westfield Annapolis are owned by the Westfield Group (ASX: WDC), an Australian-based company with interests in 119 shopping centers in Australia, New Zealand, the United Kingdom and the United States. In the U.S., the Group has a portfolio of 47 shopping centers that are home to more than 9,000 specialty stores and comprise approximately 63 million square feet of leasable space in California, Connecticut, Florida, Illinois, Indiana, Maryland, Missouri, New Jersey, New York, North Carolina, Ohio and Washington. For more information on the events such as these, visit www.Westfield.com/Annapolis. I was granted media access for the performance thanks to Westfield Annapolis. The opinions and views are my own.